The SADES A60S gaming headphones provide good sound quality. Can I say they sound like similar headphones that cost twice as much? not really. But for their price – you get a lot of value. The sound quality is really not too bad. 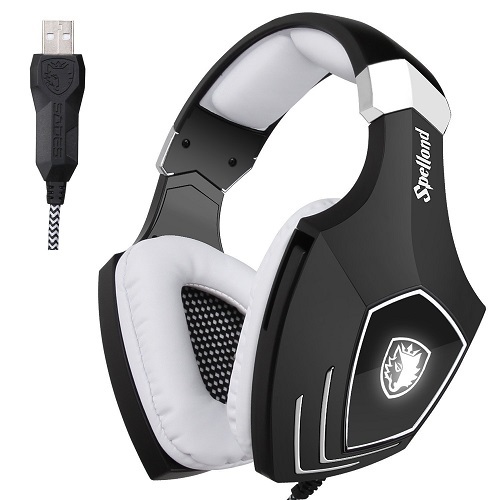 If your budget is limited and you are looking for good gaming headphones – buy these ! I do want to mention that SADES also sells a more advanced model – SADES A70 (Amazon link). The A70 headphones provide better sound quality, and I personally like their design more. You should defiantly consider buying them instead. I also recommend checking out the Bengoo Gaming Headset (Amazon link). They are very popular and from the reviews I read online it seems like they provide amazing value for your money. The sound quality is not as good compared to SADES A60S, but again – it is really not too bad after all. SADES is a great company that makes different headphones. Many of them are best sellers, especially the relatively cheap gaming headphones. The company is not well known as Sony or SHURE, but I am sure that in the future that will change. Their products work well and sell for very reasonable prices. The built-in microphone is great. It is very sensitive. I came across many gaming headphones in the past that provided good sound quality but their microphone was terrible. SADES did a great job this time with the microphone – no complaints ! 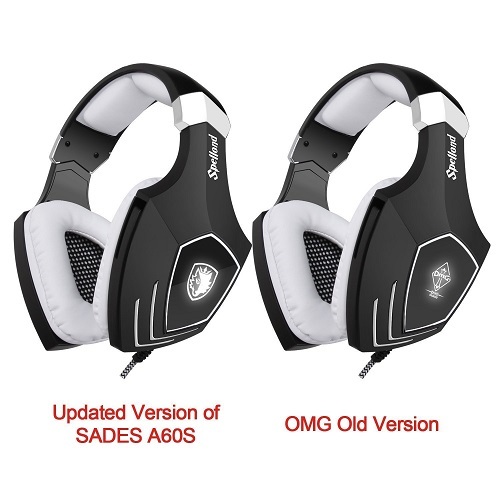 The SADES A60S/OMG headphones are very comfortable – you can use them for long periods of time. This is very important of course because these are gaming headphones – and probably will be used for hours each day. The ear cups are fairly big and are made from hig quality materials. The SADES A60S headphones are very durable. They also come in 3 colors : Ping, White, Black & White. I personally really like the black version – it looks premium . The design is nice, these headphones definitely look cool. The “SADES A60S/OMG” gaming headphones are great for those who want to buy cheap gaming headphones with good sound quality. They work well, provide good sound quality and cool design. If your budget is not tight, I would consider buying more advanced models. But if you really don’t want to spend too much on your gaming headphones – buy these ! You won’t be disappointed, that’s for sure. You can find many reviews of these headphones online. I read many of them and from what I see – most consumer really like them.